Located in the western Chicago suburb of Naperville, Illinois, we carry hundreds of dolls for adults and children. We carry play dolls for children of every age, collector dolls and antiques dolls. Some of the dolls that we carry are Berenguer, Adora, Lee Middleton, Madame Alexander, Ginny & Raggedy Ann. 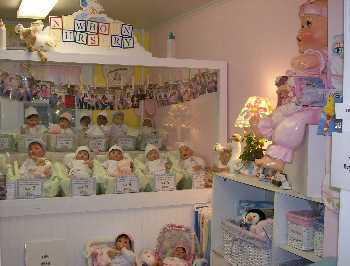 We also have a Doll Hospital and Middleton Newborn Nursery. We sell new and vintage doll clothes, doll furniture, doll accessories, outdoor garden statuary, angels & memorial items. 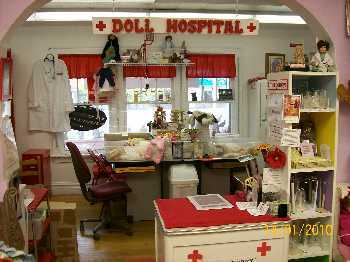 At the doll hospital we give surgical estimates on dolls, toys and stuffed animals. Call to set up an appointment with the doctor. She will give your toy an exam while you wait. Exams are free with an appointment. Toys can also be dropped off for an exam. The charge without an appointment is $20.00. This fee can be applied to a repair otherwise it is non-refundable. Most but not all toys will be required to be cleaned before we work on the toy. We recommend that you use our professional cleaning service,so the toy is not permanently damaged by improper cleaning. We should not have to repair a toy covered in saliva, vomit, germs or animal fluids. We would like to or need to clean it first. We will give our recommendations at the time of the exam. We receive injured dolls and toys from all over the world. If you do not live locally, send in the patient. Wrap the patient very carefully, bubble wrap for fragile items. Enclose a $30.00 check to cover the cost of an exam and shipping home. 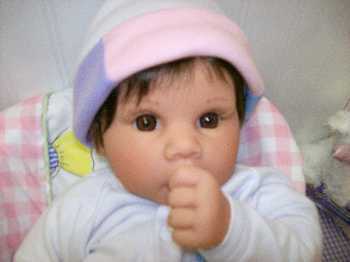 At our Middleton Newborn Nursery you can adopt a baby doll. Look through our nursery window and pick out your baby. The whole family can put on hospital gowns and watch while you give your baby a health exam guided by our nurse. The baby is measured, weighed, has it’s ears, nose, throat and heart checked. If the baby is healthy the adoption papers and birth certificate are filled out, and baby is ready to go home. A photo is taken to hang in the nursery viewing window. In 30 days you will receive a postcard. It reminds you to bring your baby in for a well baby check-up. We give the baby another examination to make sure that your baby is sleeping, eating and doing well. Everything is included for $129.99!